This Los Angeles Angels Banner was custom made for the 2018 Season. 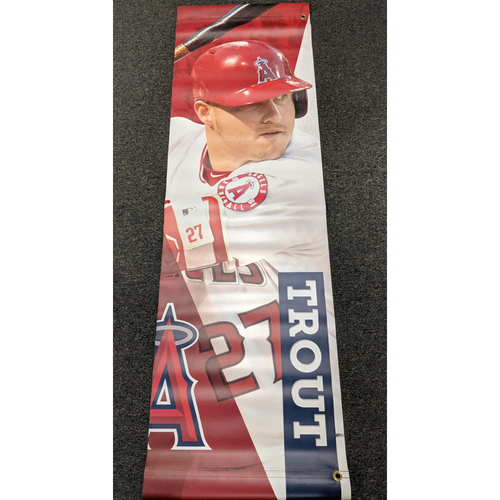 This Banner hung outside of Angel Stadium and shows the Angels Center Fielder, 2014 American League Rookie of the year and 2 time American League MVP Mike Trout. This Banner measures 60"x18."